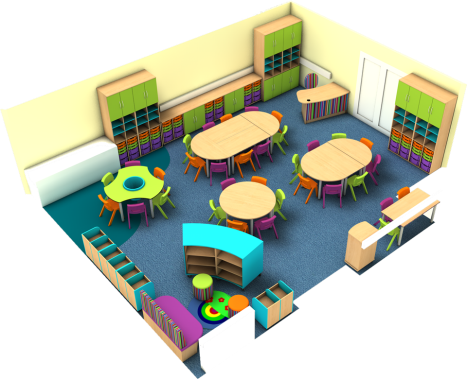 Having engaged Incube to design and furnish the library and all of the classrooms at his previous school, Matthew Baxter, The Head of Mosley Academy, was keen to invite us to create an eye-catching scheme for a freshly decorated classroom that needed furnishing in his new school. Of course we were only too glad to help our loyal customer! 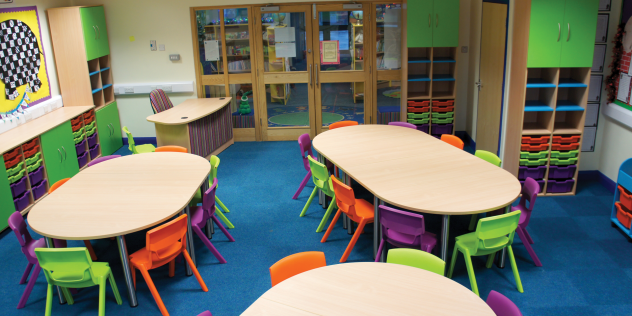 Using our newly developed Colourful Classrooms range, we designed a layout for the room that was both functional and vibrant. 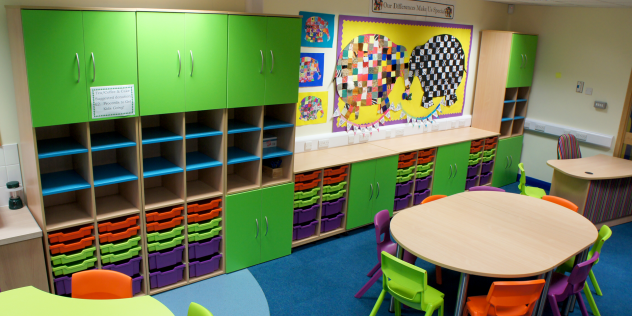 The furniture we used provided everything that was needed for the sake of practicality, as well as having an engaging and vibrant feel which has enhanced the school experience for the teachers and children alike. 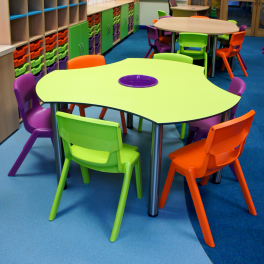 Versatile modular tables provide ample workspace for a full class and can be easily reconfigured to suit a range of teaching styles. A Discovery Table Kit is perfect for crafts and artwork with a handy bowl in the centre to hold all the equipment needed. 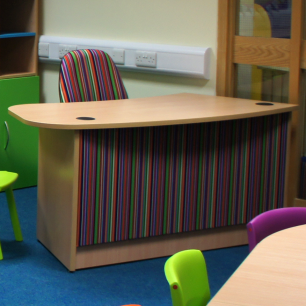 With integral lockable storage and a jaunty striped front panel, this desk is as practical as it is striking! 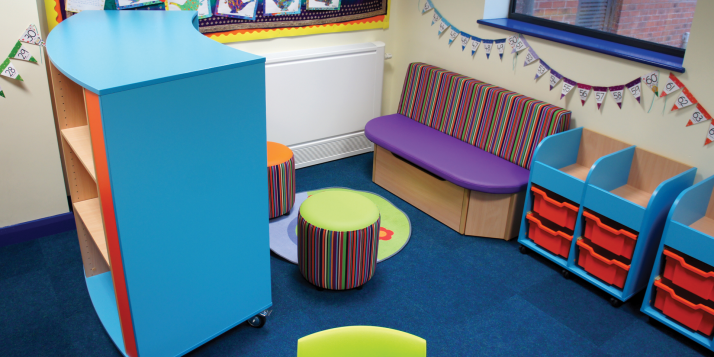 The curved Wiggle Unit screens an inviting reading corner from the bustle of the busy classroom, providing an area where children can lose themselves in their favourite book.